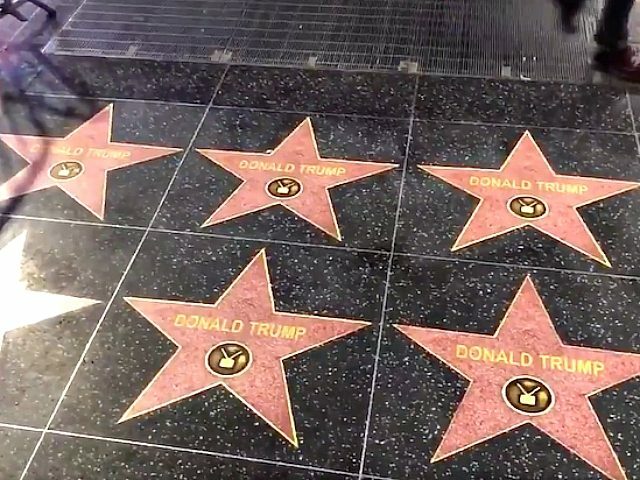 Fifty Donald Trump stars appeared overnight on the Hollywood Walk of Fame Thursday morning, coming just days after the City of West Hollywood voted for the removal of Trump’s star and Trump’s actual star was vandalized. With just an idea and $1,000 donation, the artist and his team laminated the vinyl stars over blank squares along the Walk of Fame. He also told THR he feared for his safety due to the violence being perpetrated by the political left against Trump and his supporters. Already, though, an employee at the Ripley’s Believe It or Not! attraction, which is located right on Hollywood Boulevard along the Walk of Fame, has removed the stars. He told THR this was done because he also feared violence from Trump’s left-wing critics. “We didn’t want to have what happened to the old star here. Not only would the star be destroyed, but it would damage our property,” he said. As of now, the political left have committed over 540 documented acts of violence, harassment, vandalism, and menacing against Trump supporters.